Monkey … is a hit… And Chen puts it all together with a superb show business touch. The director was previously responsible for the unforgettable staging of the Chinese opera The Peony Pavilion that played at New York’s Lincoln Center in 2001. He has been an inspired stager of Western operas (he’s currently finishing a Monteverdi cycle) and more recently a filmmaker (his first feature, Dark Matter, opens later this year), and he definitely has another feather in his cap. The whole crazy caper is the brainchild of Chen Shi-Zheng, stage and cinema director, whose Dark Matter with Meryl Streep just scooped up the Alfred P. Sloan prize at the Sundance Film Festival….Ever since his 19-hour Peony Pavilion production toured the world at the turn of the century, Chen has walked the tightrope between East and West. Journey to the West is one of his wildest flights of fancy yet, and one of his best. 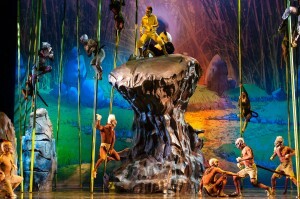 Monkey: Journey to the West was conceived and directed by the Chinese opera specialist Chen Shi-Zheng. Co-commissioned by the Manchester International Festival, the Théâtre de Chatelet in Paris and the Staatsoper Berlin, it is a high-octane, 90-minute rock’n'roll circus, performed in Mandarin and featuring over 50 Chinese acrobats, martial-arts experts and a team of tiny contortionists so pliable they could have flown over as cabin luggage. The choreography[Chen Shi-Zheng’s Monkey] is dazzling…The result is part Chinese Circus, part pantomime, part cartoon, part opera, part ballet, and part fairytale – the kind of labour-intensive multimedia spectacle that makes western art seem trivial and lazy. What more could you want? … this enchanting show? Monkey genuinely felt like a new art form being tried out, but impressively grandiose in scale and scope. Most significantly of all, it perhaps heralded the way of things to come. If, as is frequently asserted, the 21st century belongs to China, here was a preliminary look at what its culture may bring to the world: and it was exciting, accessible, constantly surprising and performed with consummate skill. Roll on the next circus opera. Chen Shi-Zheng wants to get his country’s epic into the same global story-book as King Arthur or the Spanish picaresques. Imagine The Lord Of The Rings being done by the Chinese State Circus in the style of House Of Flying Daggers, and you are some way towards understanding the appeal of Monkey. Chen Shi-Zheng’s staging is ravishingly pretty and immaculately executed. …this extraordinary entertainment – [Monkey] conceived by the Chinese-American director and choreographer Chen Shi-Zheng – is well worth a trip to Manchester, or wherever. It was the breathtaking scale of the spectacle that had the most impact on opening night. [Chen’s production] made cult Chinese movies such as Crouching Tiger, Hidden Dragon look tame by comparison. Brilliantly masterminded by the Chinese director Chen Shi-Zheng Monkey is simply a piece of music theatre of the most spectacular kind. 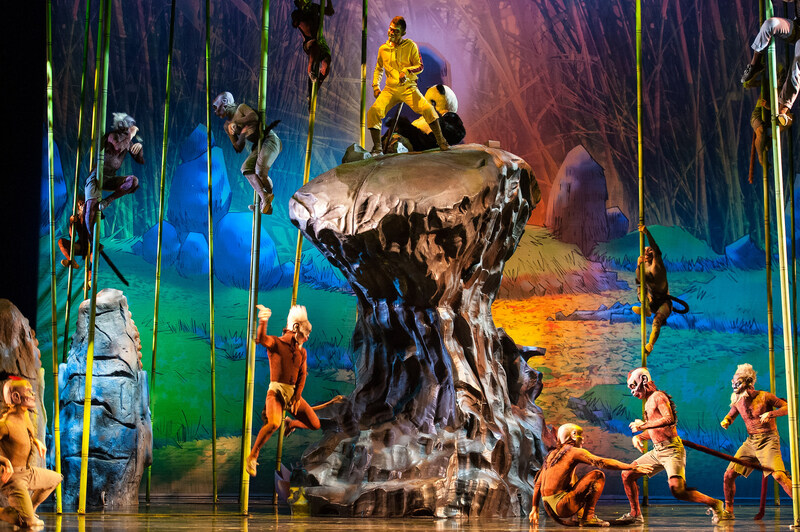 Imagine, if you can, an improbable combination of The Lion King, Cirque du Soleil and Crouching Tiger, Hidden Dragon. What’s most encouraging, however, is the sense of something new and exciting being created from the melding of many disparate styles – pop and classical, Western and Eastern, visual and aural. The audience, about 50 years younger on average than the usual opera crowd, loved it.